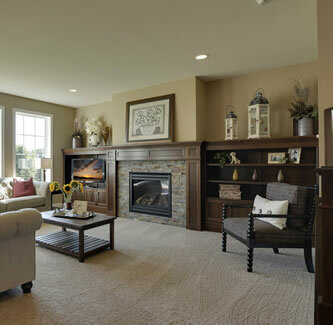 Custom fireplace mantels add warmth to any room in addition to providing storage area for household décor and entertainment units. 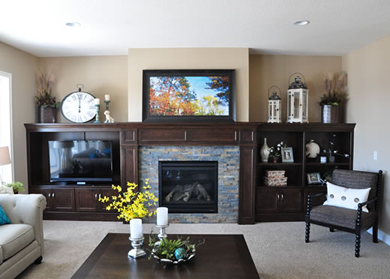 Custom fireplace mantels are designed to suit your style and design. A custom entertainment center will provide storage for any size television, stereo system, and household décor. 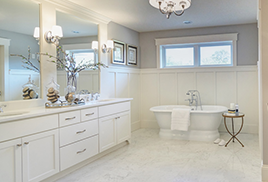 At A & K Custom Cabinetry, we do custom entertainment center design work to create a functional and beautiful addition to all living areas in your home, whether formal or casual. Each entertainment center layout is designed to provide maximum storage space and to create the perfect entertainment area. Built with custom wood finishes, custom entertainment centers can add that extra "wow" to any home.